Australia's Best In The Fort! Great Aussie & Filipino Food! Feel like diving into amazing Australian food? We've got you covered! Want some great local cuisine made of quality ingredients? No problem! 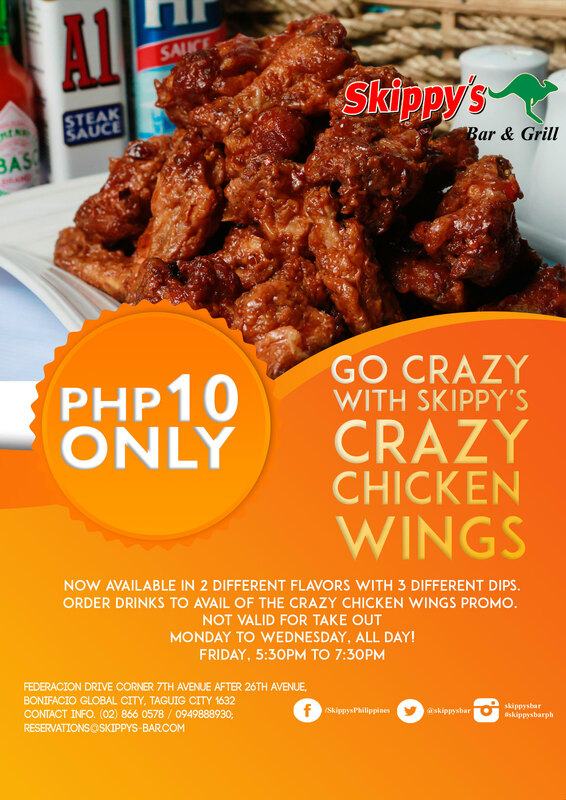 Skippy's has an amazing menu of great food. Our drink selection is huge with tons of great import beers. Best of all, it's ALL affordable! 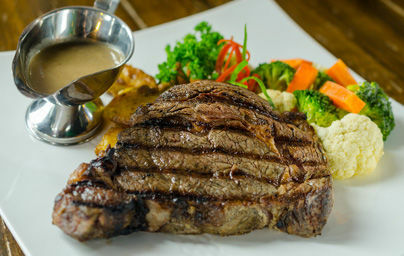 Check out some great reviews we've gotten here or take a closer look at what's on the menu here! 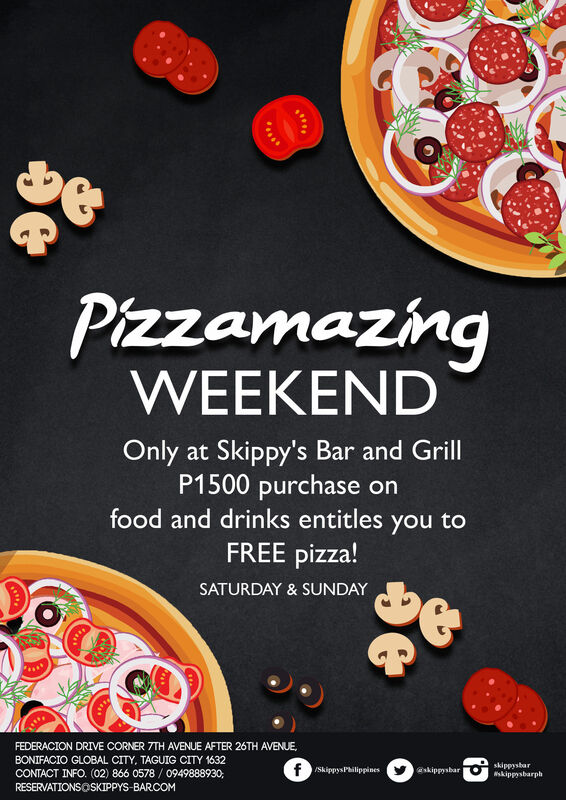 Killer Live Music Every Weekend! 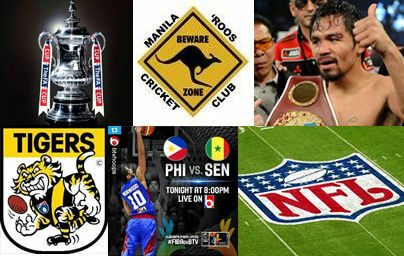 Local & International Sports Events LIVE! 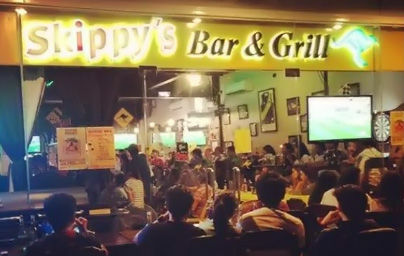 We take our sport seriously at Skippy's so if there's a game on, it's on here! 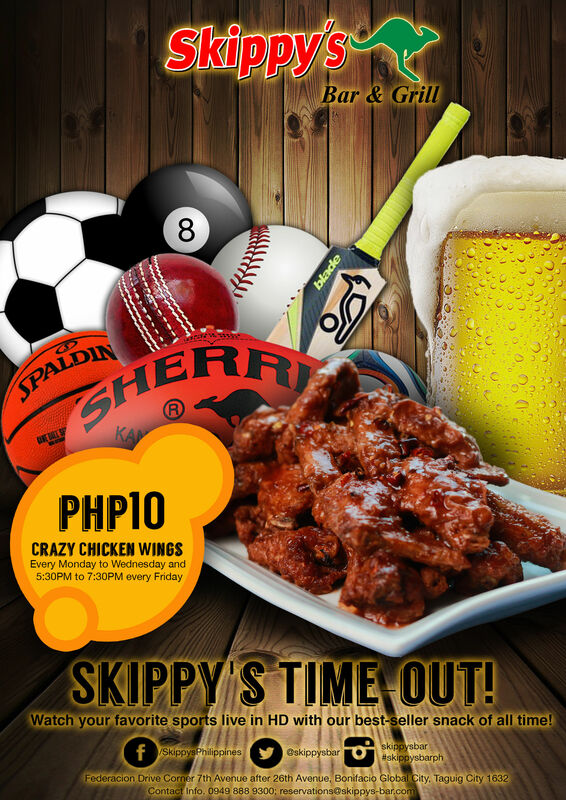 Rugby, cricket, football/soccer, basketball, you name it, we're showing it LIVE. We're not just about showing the games, either. Check out the local teams we sponsor here! Be sure to hit our Events page for what's coming up so you don't miss a thing! We love reading about people's experiences at Skippy's! It doesn't matter when you're a food critic, a reporter on the beat, or a blogger! If you write about us please hit us up on our Contact Page so we can link to you! Scope out some of the great press below we've gotten so far. We tried to be impartial and find any bad articles about us to put on this page, but honestly we couldn't find any! of sporting events to catch." 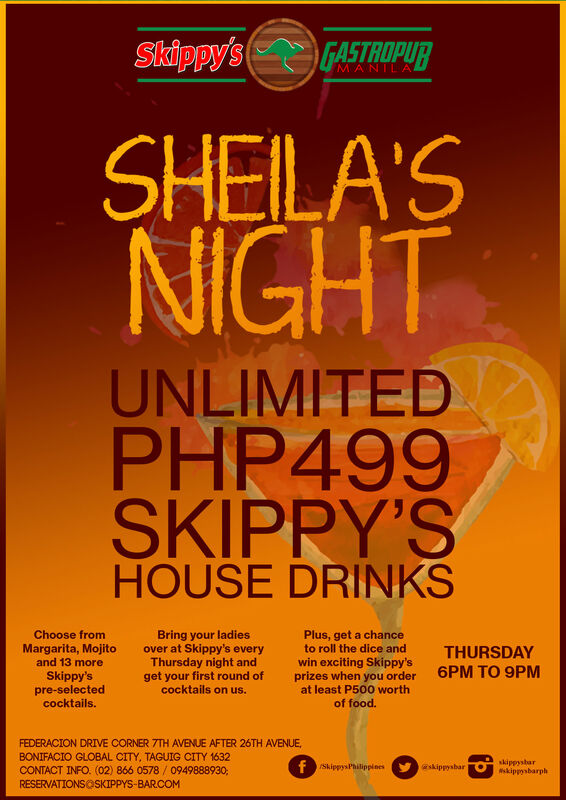 "a gastronomic adventure for food that I'd be experiencing for the first time: Australian food at Skippy's Bar & Grill!" "It's the place you go to after work to unwind, grab a pint, watch a game or just get the billiard table humming." and it has yogurt too!" Australian food that does not scrimp on ingredients." "One could definitely dine and chill. 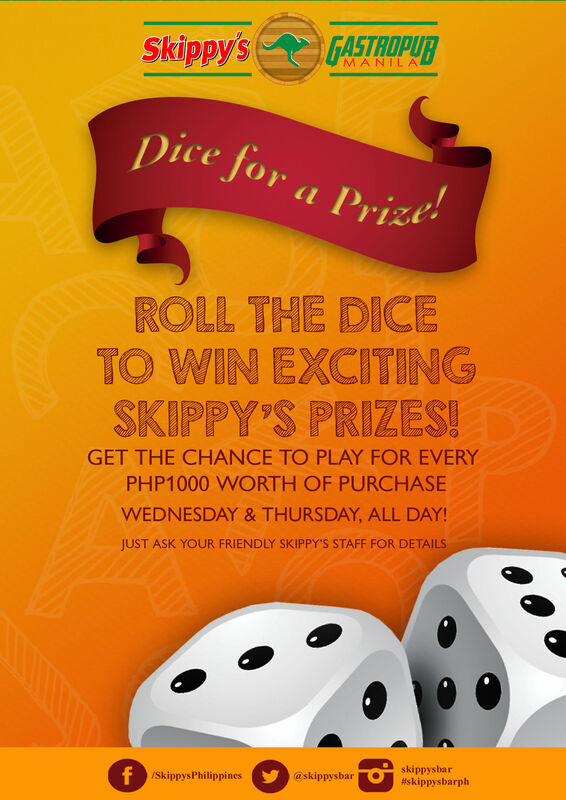 Skippy's is a sports bar and restaurant bringing a piece of Australian goodness in the Philippines. It offers scrumptious and filling grubs for every hungry tummy." 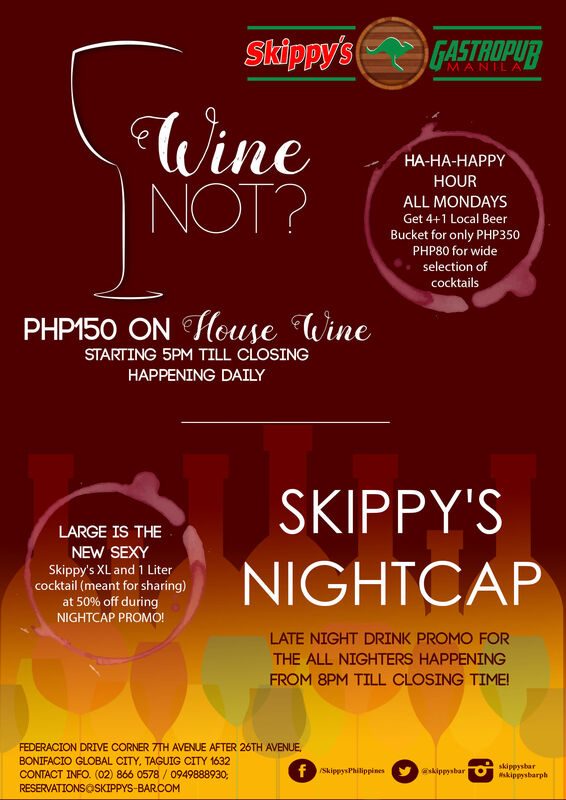 "Best Bar In The Fort. 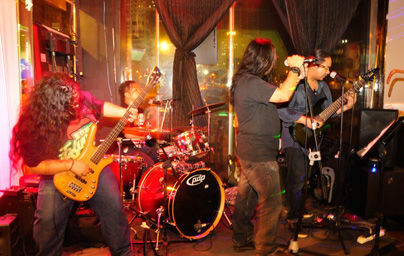 Great Aussie bar with fun atmosphere, great food, awesome staff and great live bands. Has villi's meat pies!!"